Today Agniworld’s eye is pointed at another Somehow Recordings release – an album by Mark Hakonen-Meddings, which is called “Vapaa”, and contains 5 tracks, beginning with the letter “V”. It starts with “Viiva” – a drony set of pleasant and thoughtful piano flashes against the indistinct and blurred ambient background. The next track, “Vilja”, is more soothing and atmospheric, it has a fine-grained and glimmering structure, as if it consists of unknown radiant substance, producing some kind of spiritual relaxation and inner cosiness. “Virta” is predominantly bound to low level of sounding, also having fuss in between. It is more like a sudden break in the middle of the album, a time out for further acoustic experience. “Veri” is distinguished by its pulsing warmth and tenderness, bringing the listener closer to inner peace and solitude; luscious chords, smooth transitions and overall feeling of mental transcendence surely will lead you to balanced and quiet state of mind. “Voima” represents the logical conclusion for the album, resembling a kind of awakening from a soft and magic trance, giving us the evidence of the fact, that this music belongs to meditational art, where both the artist and the listener are engaged into this mild abyss of fantasy. Here you can hear guitar sounds together with synthesizer, that together create a strikingly bizarre soundscape. I think, that everyone will carry his own peculiar things out of this album – listening to such works of this kind will definitely benefit your imagination and perception of the world. 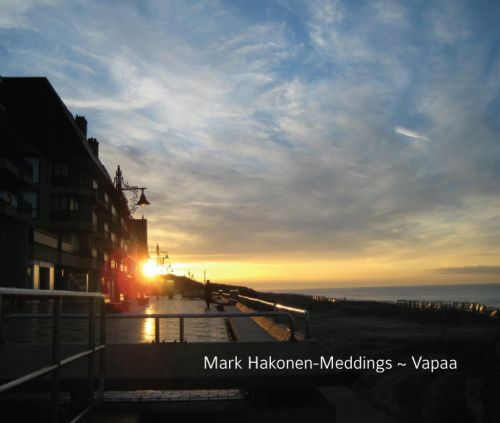 So, join the meditation of Mark Hakonen-Meddings with his album “Vapaa”. 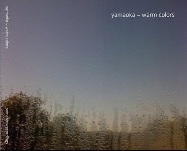 It starts with portions of soft wooden tickings, against the background of mild droning soundscape, winding up the bizarre mechanism of the album “Warm Colours”, written by Kenichi Oka – Yamaoka, and released on Somehow Recordings. Listening to it you are sure to agree with the album’s title, as the entire sounding emanates warmth and limpid comfort. The second piece is represented by presumably artificial ringings, resembling a bit telephone sounds, but in the concept of this track, they acquire new features and possibilities – of creating strange atmosphere and mysterious moods, as if in some science fiction film, when a hero makes hiw way through the blinking corridor of a spaceship, saving himself from an unknown form of life, which penetrated the cosmic vehicle (but these are only my own associations). The third piece contains some indistinct mumbling, subtle noises, maybe based on radio broadcast or something else, and excited looped bass arpeggio, which phases along the whole composition. The fourth ambience is built on muffled arpeggios, and some other drone layers, again creating a science fiction picture. Well, I won’t dismantle the rest of the tracks, for I want to share the pleasure of imagining the the listener, and to let him submerge into this magic underwater on his own – it is really an unforgettable experience. I must also remark, that the album seemed to me having a slight old-world flavour, linking back to the electronic music of the past decades, and making the album gentle and just great. So, see the “Warm Colours” of Kenichi Oka. 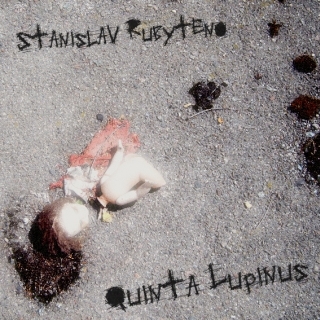 Occurrences In Rain is a collaboration project between two musicians, which work via internet and had never met physically; they are a Polish artist Bruno Janiszewski and an American artist Precipitous. By the moment they released three albums on their own bandcamp page, and now I will concentrate on one of them, called “Wafting Magic”. For me it was a sudden discovery, and I am really glad to come across such prostrating and enveloping ambient music. 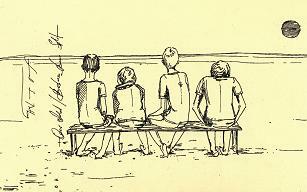 The album opens with “(They Were) Tuned To Wafting Magic”, which truly represents the tuning to some majestic kind of mood, as if making the listener ready to the artists’ flight of fantasy. It is worth mentioning, that on their SoundCloud page, the musicians give a detailed description of the tracks; this helps to plunge into their world deeper and thoroughly. You can hear various field recordings, which enrich the whole atmosphere – and it proves Occurrences In Rain to be thoughtful and serious ambient composers. Then comes “Sixteen Seconds Before Collapse” – a subtle, but dense airy drone with some metallic found sounds, having a very mystic and a little bit frightening (in the best meaning of this word!) environment. The sound is growing more strained and alerted – the track’s title contains the warning, that something must happen. 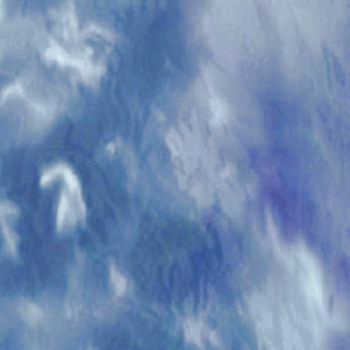 “Anticipating A Sudden Lack Of Oxygen” again has some kind of agitated climate, with suddenly appearing howlings, squeaks, which later abruptly fade away, and appear once again. “The Inner Peace Of Profound Longing” represents a vibrating set of pulsing drone, oscillations of which, as if due to the frictional force, produces tangible warmth. This was the brief review of this album, I won’t perform an exhaustive vivisection, because primarily this music must be heard and listened to, as it really carries emotions, images and energy from the authors. So, get some “Wafting Magic” from Occurrences In Rain. “Act III: Comics” by Wozzeck is the first release on Russian Petersburg-based Intonema label, and it turns out to be a certain kind of experimental music specimen. The main participants of this project are Ilya Belorukov and Mikhail Ershov, also some other musicians took part in this recording. The album represents two tracks, where different 47 improvisational compositions, in a kind of developing succession, will disturb the atmosphere with their sudden sonic bursts. Actually different musical instruments are used here – saxophones, bass guitar, electric guitar, trombone, violine, synthesizers, clarinet, as well as samples of voices, which, mixing, give a really intricate sound canvases, or sketches. The sounding is rather variable – from nervous spasms, as in the first part of the album, to smooth and balanced drone, enriched with muffled fuss of the listed above instruments. The creator’s intentions are really unpredictable, you can’t know exactly, where the curve of their mental activity will go. It somehow reminds me of the opposition between those short microexplosions and long and almost relaxing ambience in the second track. Beyond all doubts, the album is strange, and at the first glance it may seem a chaotic crowd of acoustic impulses, but just on the contrary – it is a conscious, purposeful and inspired act of creation, where the author’s skills and artistic abilities are clearly visible. Ous Mal and Bedroom Bear – two projects from Finland and Russia respectively, have a great split, which was released on Karelian label Full Of Nothing, locating in Petrozavodsk. It is a cassette split with the A-side belonging to Ous Mal, and B-side belonging to Bedroom Bear. Ous Mal’s material consists of short sweet ambient tracks, which produce some kind of childish comfort and the light feeling of freshness and light-heartedness. As it is explained at the official release page, the author uses some samples, based on vinyl and tape sounds, creating a warm and very tender atmosphere. In several pieces you can catch some hints and links to the starting theme, but in every track the shades of this subtle impression differ from the previous one. For me personally this part of the split resembles the gentle smell of morning coffee with milk combined with loving embraces and observing the golden rays of the rising sun, It is a very natural and vivid work, which will definitely conquer your heart. The B-side, occupied by Bedroom Bear three tracks, tends to be more linear, but developing sunshine drones; their ringing is like awakening stretched bells, with some a little bit disturbing, but still kind-hearted machine elements, as in the end of “Sun Glyph”. “Down The Curly Sea” is a great result of, how I can suppose, processing of field recordings, or an act of imitating them (in this case this imitating is a very successful one!). Jointly with the beautiful poetic title, this track leaves a truly pleasant impression. The conclusion – “Crystal Gaze”, perhaps, made of harmonica sounds, accomplish the right sonic stroke for the split, combining some nostalgic and dreamy notes, and provoking us to listen to the tape again. So, have some inner joy with the split of Ous Mal and Bedroom Bear. “Hybrid” is the creation of CircumLiver, also known as Paolo Bono, an Italian ambient composer, whose mentioned work appears to be the object of the present reviewing. The starting theme, “Hybrids Are Coming” is represented by a looped sequence of some ringing curves, vibrating on different levels – from low to high frequencies. “Hybrids Are Coming” prepares the ground for the whole music matter – with its relaxed flow and measured blurred tempo. “Hybrid Speech” really resembles artificial vocalizing, based on some synthesized sounds, maybe sitar-like, or like some Chinese string instrument. The climate here turns to experimental sphere, with its unexpected technical or mechanical mood and strange sonic migrations. The term “hybrid” is the central point of the album and is met in every track, completely justifying the album’s title. So, the third track, “Hello Hybrid”, beginning with classic ambient droning, later appears to be a rhythmic phasing theme, which, however, doesn’t lose its atmospheric width and harmony. Then comes “Hybrid Clinicalambient01”, with its forceful stream of fluffy energy and subtle and a little bit sad tones, which entice the listener further into the depths of CircumLiver’s world of Hybrids. The whole work is proved to be an example of versatility and it carries the spirit of experimentalism, I won’t put all of the tracks under a microscope, but I can firmly say that “Hybrid” is worth listening and enjoying. I think, it is a great soundtrack for some science fiction film, for example something like “Alien”, though without any pictures Paolo Bono’s music can give rise to even greater inner fantasies. 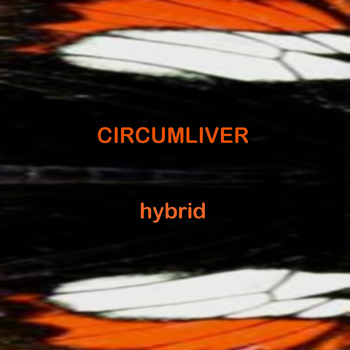 So, explore the “Hybrid” of CircumLiver.